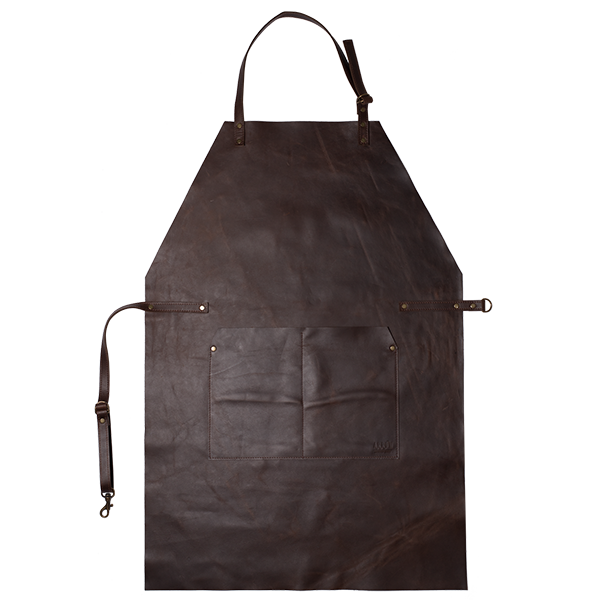 Full leather apron with easily adjustable neck and waist strap. 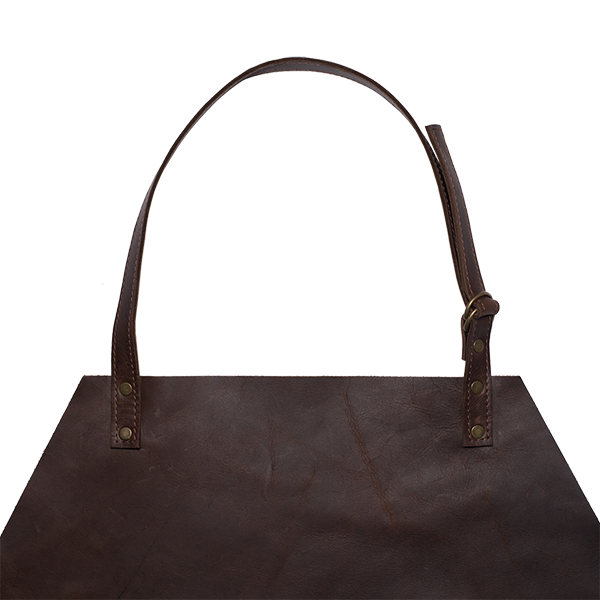 Two storage pockets as well as two loops to attach your favourite cooking utensil and towel. 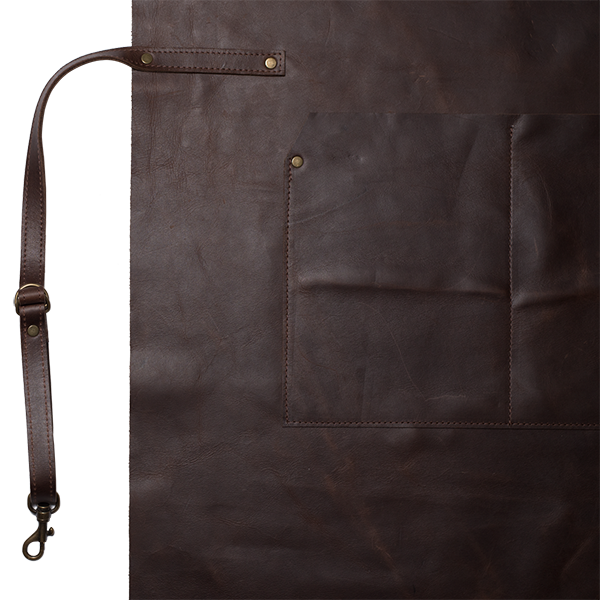 Notify me when Brown FULL LEATHER APRON is available.